Today we have a guest post by Natalie Wargin, a painter, sculptor and digital artist. 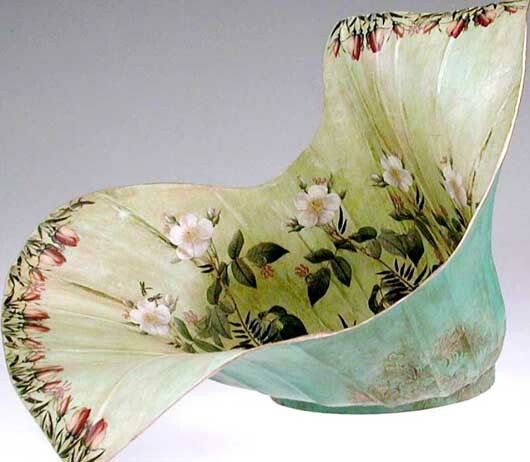 She agreed to show us how her decoupaged bowls are made, and she also describes her technique for building tables completely out of paper. I’ve never seen anything like it. Thanks, Natalie! 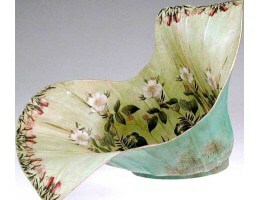 I began working with paper mache in 2002 as a direct result of an interest in decoupage. 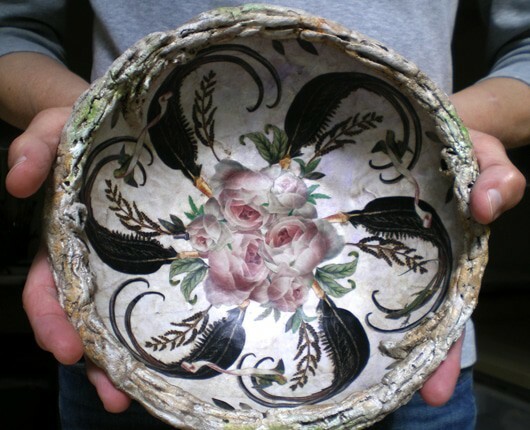 I had done a few decoupage projects and started to think that it would be nice if, rather than decorating existing surfaces, I decoupaged objects that I had made myself. That way the entire project would be original. I got some books and started making bowls using the layered newspaper and white glue technique that many of us learned as children. It was so relaxing and satisfying — I got hooked. In addition to making bowls in a mold I also like to create more random shapes. 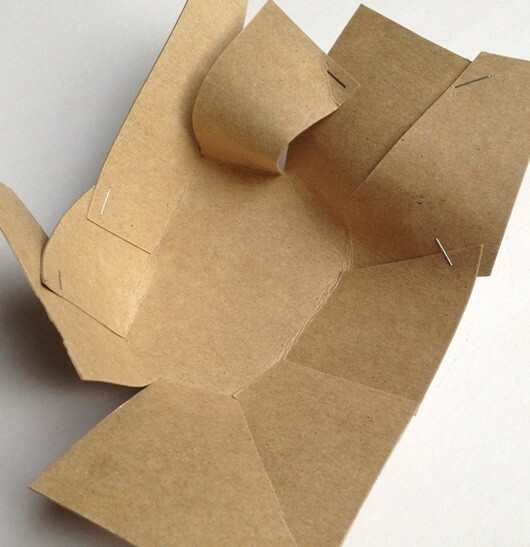 I build cardboard armatures from lightweight tag stock and cover those with gluey newspaper strips. I add bases so the pieces will sit nicely. These I often cover with anaglypta paper, the ornately embossed wall paper. Once a piece is dry I sand and gesso and use acrylic paints for a background color. Then I decoupage using images that I find or paint. I like to use metallic paints for shimmery interest. Once the piece is finished and dry it gets several light coats of a water soluable matte varnish. 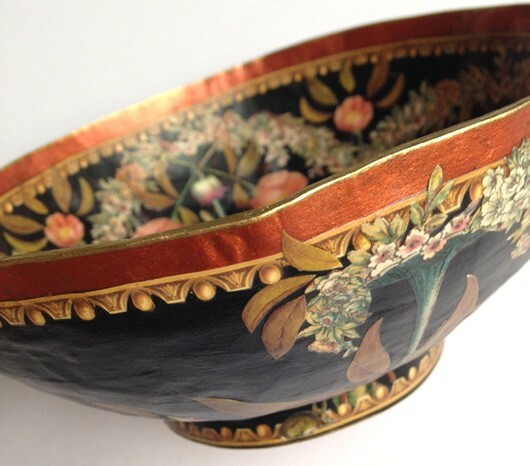 Then I run a gilding pen along the edge of the bowl as a final touch. I’ve always love faux bois and wondered if I could achieve a similar effect with paper mache. 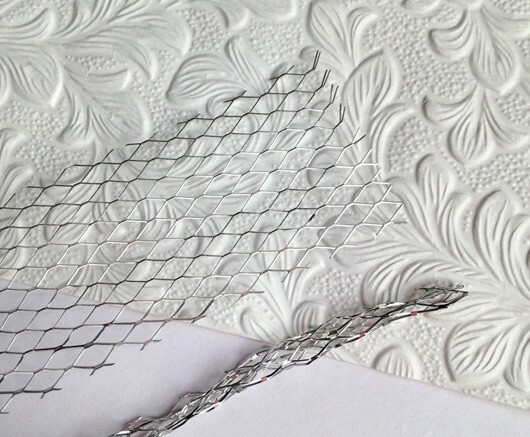 I make a small wire mesh amature and attache this to the piece with a glue gun. I cover the wire mesh with paper mache and manipulate it with a skewer to suggest knot holes and bark. Doing this with paper mache pulp results in a rough branch. 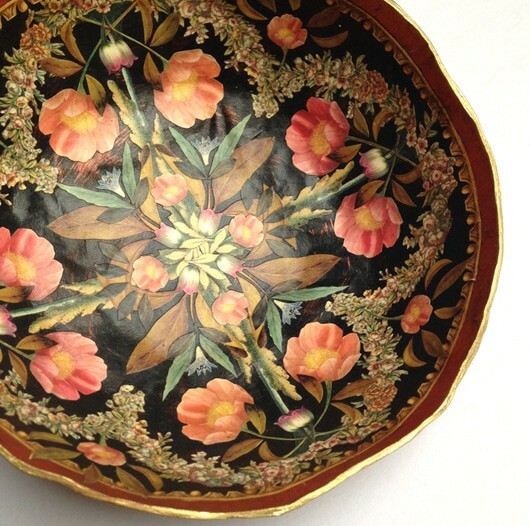 You can get finer results using paper clay. In 2007 I started making tables completely from paper. I start with a corrugated armature that’s covered with newspaper strip paper mache. 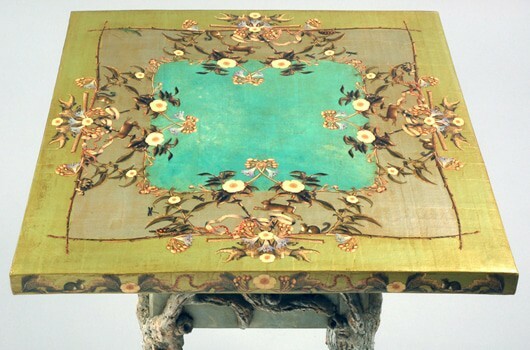 The table top is gessoed, painted, and decoupaged like my other pieces. The legs start out as corrugated that is then covered with wire mesh to which I apply paper mache pulp. I work the pulp in the faux bois method. When that’s dry I go back with more paint to darken knot holes and add hints of moss. The tables get several coats of a solvent based varnish. They need the protection that a heavier varnish provides. My tables function the way any table would while not being very heavy. My paper mache work has been featured in Midwest Living Magazine, Orange County Home Magazine and the Chicago Tribune. 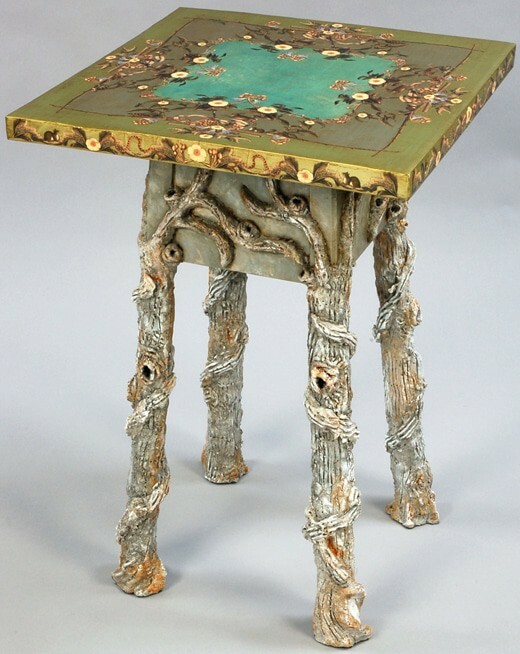 One of my tables, a fairy tale demilune, appears in two books: Tables and 500 Tables: Inspiring Interpretations of Function & Style, by Lark Books. You can see more of my work on my website or in my Etsy shop. I really like these creations and like the way you described. Your skill is remarkable. Beautiful art form portraited from paper.